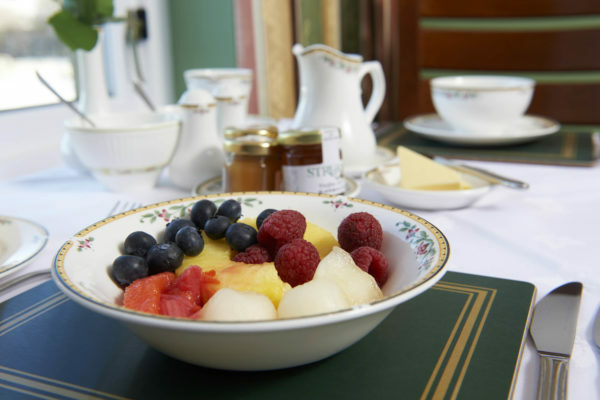 You will start each day with a delicious breakfast – and gluten-free, healthy options are always available. We are a Fair Trade establishment, and source Fair Trade and local ingredients for our guests. 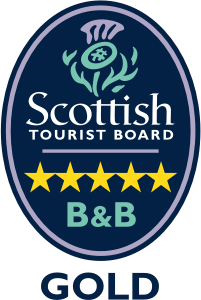 Being from this area, we can offer you not only a lovely stay, but local insights about what to see and do during your stay, and an authentic Highlands experience. Rooms feature comfortable, quality mattresses and high-quality bed-linens. 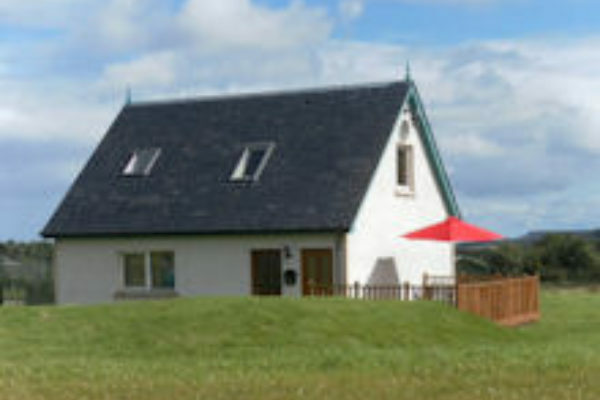 Daviot Lodge is completely non-smoking, and wheel-chair accessible. Fireplace and comfortable lounge for relaxing after a day touring. Our rural setting is quiet and serene. Daviot Lodge is set in a lovely meadow, and birds at the feeders outside our dining room picture windows are the stars each day at breakfast. 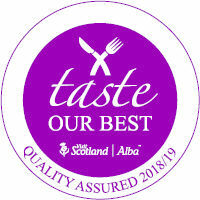 Breakfast made from quality ingredients, Fair Trade-sourced and award-winning local foods. To view our scenic location via Google Maps. 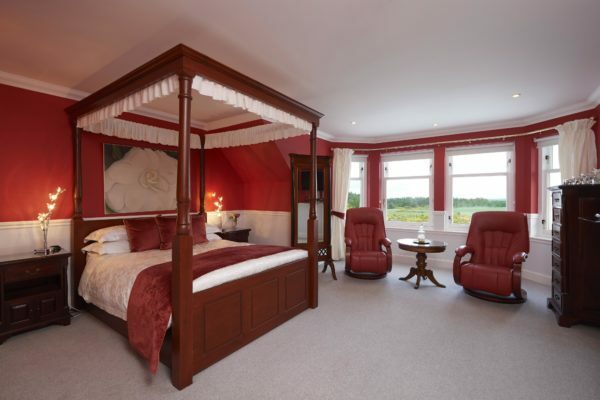 To book your stay at Daviot Lodge simply contact us on telephone number 01463 772215 or go to our booking page. 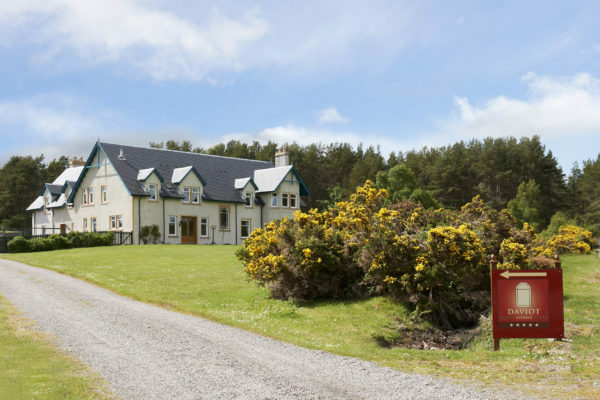 The area around Inverness and Loch Ness abounds in history and scenic beauty, and Daviot Lodge is a perfect centre from which to explore the surrounding countryside. There are its lovely lochs, soaring mountains, forests, beaches and cliffs, including the world-famous Loch Ness. Daviot Lodge is located just a few miles from historic Culloden Moor, site of the last battle to be fought on British soil in 1746 when Bonnie Prince Charlie was defeated. Near the Battlefield are the prehistoric monuments and standing stones known as the “Clava Cairns”. Three nights for the price of two available from Friday 26 October 2018 to Friday 21 December 2018 and then Friday 4 January 2019 until 30 April 2019.